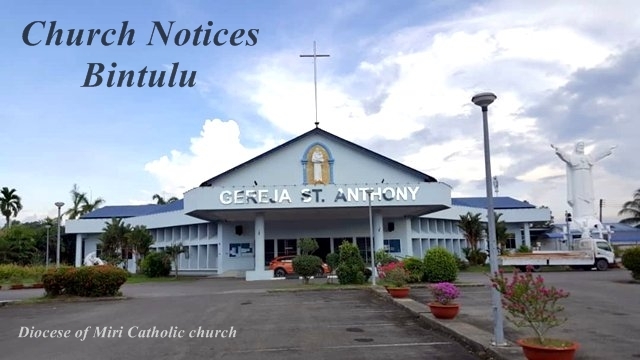 Last year, a total of RM144,808.38 was collected during Lent in the Diocese of Miri. Most of this money was used to help fire victims and given to the parishes in the Diocese as welfare fund. This year, the Church, through the Catholic Welfare Service, is once again appealing to all parishioners for donations to help the poor and needy. All donations to the Catholic Welfare Service are exempted from tax. Parishioners who donate more than RM50 and require a receipt can complete the form printed on the envelope. Please take the appropriate envelope or coin box from the wardens and return your donations through Sunday Collection before 30 April 2017. The next NFP Course in BM will be conducted on Saturday 11th March at the Magnificat Centre. Course begins at 8.30 am. There is a change of venue for the BM Stations of the Cross. Beginning 10 March, the BM Service will be at St Anthony’s Church @ 6.30 pm. The other services remain the same.